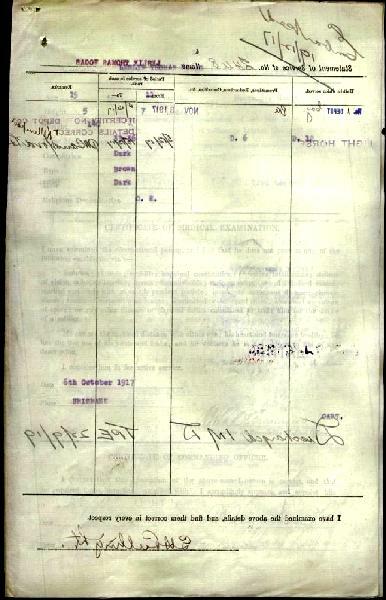 2448 Pte Leslie Thomas Wogas, Attestation Paper, p. 1. 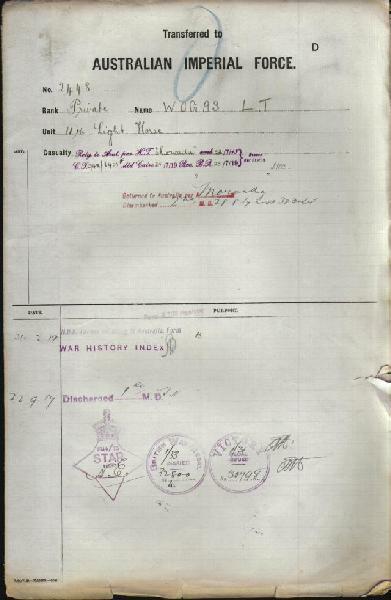 2448 Pte Leslie Thomas Wogas, B103, p. 1. 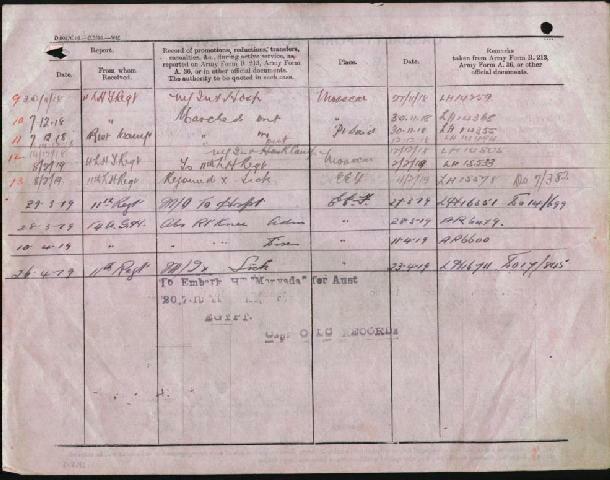 2448 Pte Leslie Thomas Wogas, B103, p. 2. 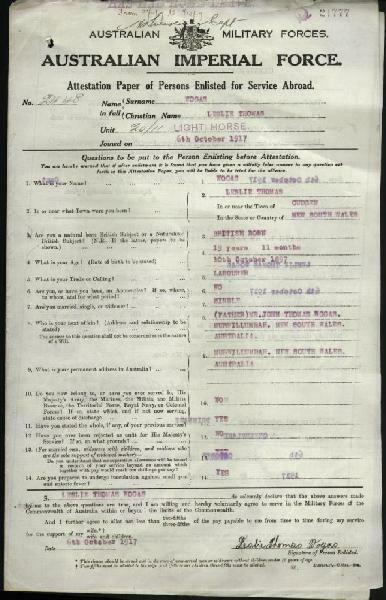 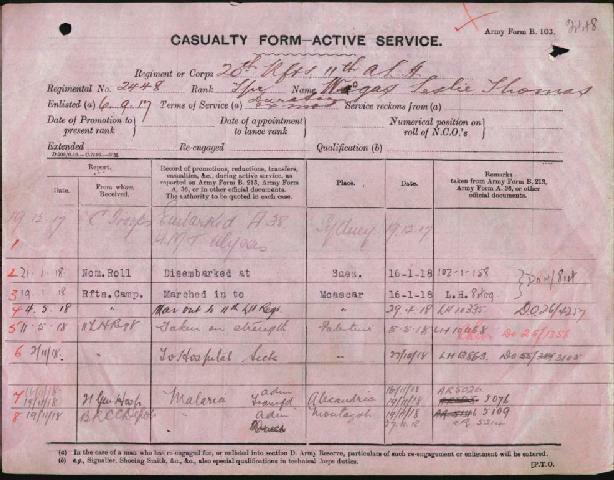 2448 Pte Leslie Thomas Wogas, AIF D, p. 1.